Even people who use Denver’s transit system daily might be surprised to find out that a publicly elected board of directors oversees the Regional Transportation District. It’s true. The 15-member RTD Board of Directors reps constituents from all over the map, literally, and makes decisions that affect Coloradans — in some ways more directly than the president. Eight seats are up for grabs this November 8. Streetsblog wants you to be informed when you decide who fills those seats, so we’ll publish interviews with candidates leading up to Election Day. Next up: JM (Maria J) Fay. 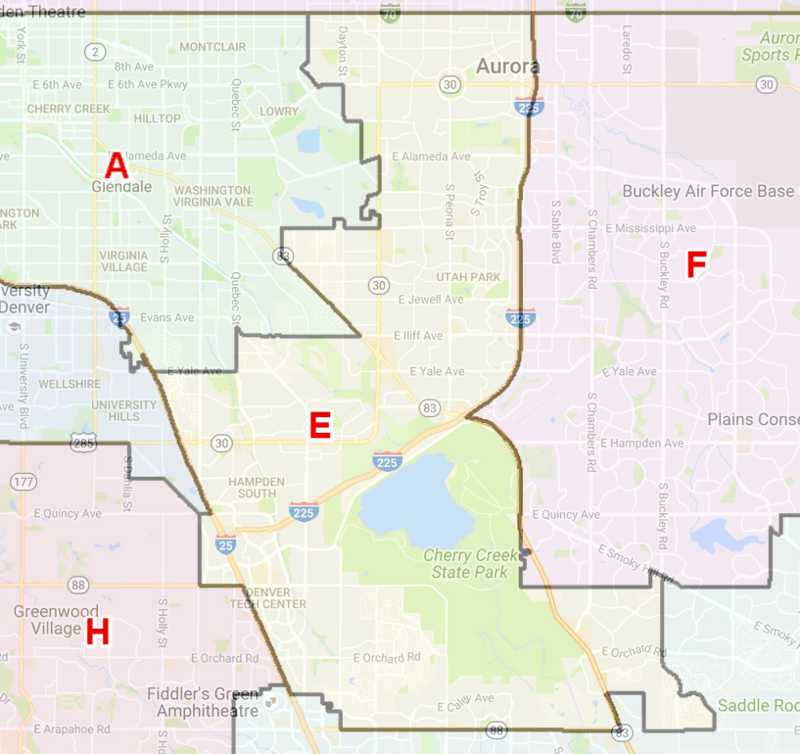 Fay is running to represent District E, which covers parts of Denver south of East Colfax Avenue, parts of Aurora, Centennial, and unincorporated Arapahoe County. Her opponent is Claudia Folska. Because the buses do not run well, especially where I live. The routes are cut/consolidated. We lost both Denver Tech Center routes in April. So if you work in DTC, you have to walk from the light rail and then the Call-and-Ride is very limited. We got large fare increases for locals but the regional fare was barely raised and the airport fare seems to be a one-way fare, as if people aren’t going home at night. Then we have EcoPasses, which are very favorable if you can get one — they’re lower than a disabled person’s pass, which is not right! We are known for fighting for the little people. We have always stood up for the right thing for the overall community as opposed to the elite few, and do the right thing. Service and fares that work for those who have no other choice so that they can afford it. Why is someone at Auraria Campus paying a fraction of the cost of a pass because they go to school at Auraria, but a single parent — and we have a lot of them — is paying full price? District E is 100 precincts, 21 in Denver, 79 in Arapahoe County, with 55 of the 79 being unincorporated or Aurora. And most of these are not wealthy areas like Centennial. RTD is moving everything to force you to use two to three modes to get places. So a buses/trains combo, but then they cut the buses/consolidate buses, when the Colorado Cross-Disability Coalition said 5 to 1 more people ride the bus as opposed to the train. So why are we cutting/consolidating buses? They cut both DTC buses; we have no buses past Belleview Station; we are getting more offices in DTC; many are not by the trains so how do people get to the jobs? What can you do to fix those shortfalls? We are going to push to get the DTC buses back, even if it’s just rush hour; even if it’s short distances. We have had buses in DTC for a long time until now. We used to have a free bus; it went from Southmoor into DTC. It was convenient and free. People used it. Because Claudia [Folska] has done nothing in four years, yet she made a lot of promises. In 2012 we had five people running; she was finishing two PhDs and said we needed someone on RTD who needed to use RTD. But she has done nothing in four years. We have an Alameda bus that runs once per hour in either direction. Alameda is a big street. The bus on Mississippi runs once per hour after 7 p.m., and Sunday/holidays. How has RTD benefited to have her on the board? We have a 25 percent rate increase on local monthly passes when a lot of District E is low-income/middle income, and she is a Democrat. Why else are you qualified? I have a BS from University of Colorado in business. I served four years on the board for the Cunningham Fire Protection District. We had four years of budgets to look at and a recession to cut back expenses, while not reducing services. It was not pretty! There is a lot of waste in RTD it seems as well. RTD would probably say it doesn’t have enough money. Well you can’t say there is no money to finish FasTracks to Longmont. Giving EcoPasses away for almost free — if you prepay a year ahead of time you save over a month of fares. Why are we doing this? RTD knows there are a lot of low-income riders as well, so why are they harming them when others can pay more. What is RTD’s role, in your opinion? RTD is to get people to where they need to get to, from point “A” to point “B” and that means from their home, usually, to where they need to go, and back. They need to do it affordably and fairly; and they don’t seem to be. And if RTD was going to places that people wanted to go to, and not have to take their cars… the ridership will grow as well. What is RTD’s role in development and affordable housing? We are not aware of who owns what, but if they own some land and the land is going to be developed, it should benefit the people — be a revenue stream for them to keep fares low. I’m not aware of who benefits but there is a ton of development in the Belleview Station area. Denver is a heavy “D” city but it’s not making a lot of housing available that’s affordable. It’s Democratic, so why is everything luxury units? Public records show that you have restraining orders against you and are banned from the Cherry Creek Valley Water and Sanitary District building for several reasons, including “hurling a sign-in book at the district manager.” Want to comment? We have a very nasty water district board and manager who likes to bully people. This board manager with the help of others on the board also put out a very nasty smear campaign against us in 2014 so that they would stop us from running for the board; try to stop us from going to meetings. Not only did they do this for the water district but some of the same people were/are on our local fire board so this was to stop us from running for that board as well. 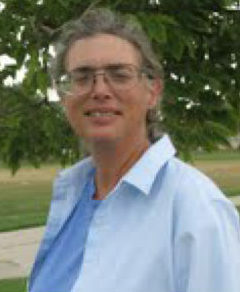 If you see the charges against us, they are complete nonsense, but the sheriff is in the pocket of the [Cherry Creek Valley Water and Sanitation District/Cuningham Fire Protection District] as this is a very small area of unincorporated Arapahoe, so they all work together and they all know each other. When we say in the pocket, it’s the same local deputies in our area for years so they have a target list of to harass, at the same time, doing little or nothing to help the community. Editor’s note: Fay is mute, so the interview was conducted live, with Fay responding by writing in real-time on a laptop. The text reflects that, and has been edited for clarity. You can read Fay’s full statement to Streetsblog on the question about her legal past here. JM FAY’s reason for the restraining order is utter nonsense. She also has a permanent restraining order with the Arapahoe Library District. JM FAY owes the tax payers thousands of dollars in court costs incurred due to her many failed litigations against public entities. JM FAY is not fit for public service! You said the same things about Claudia L. Folska. Which candidate has the lessor victim mentality! I’m not a Democrate, but the accusatory tone JM Fay, uses against her opposition for being one, is a complete turn off. Do both of these women have an uncontrolled habit of incurring court costs, and filing litigations against public entities? Permanent restraining orders? I’m not angel, but I’ve never been served with a protection order…. just looking for some voting direction. Thanks! No – I didn’t say the same thing about Claudia L. Folska. I was responding to attacks by JM FAY on Claudia Folska. After a background check through COCourts.com, Claudia Folska has had ZERO run-ins with law enforcement. In my opinion Claudia Folska is the best candidate and deserving of another 4 years in the position. JM FAY on the other hand has had numerous run-ins with law enforcement and spent significant time in county jail. JM FAY is not fit to serve our community in any capacity. Thanks for asking. Thank you. I must have misunderstood your comments.